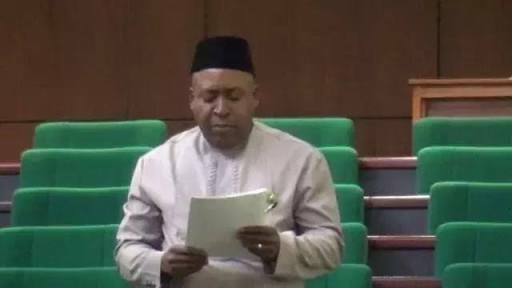 A member of the House of Representatives, Nse Ekpenyong, was on Thursday arraigned at the Federal High Court, Uyo, Akwa Ibom State, for alleged forgery of a polytechnic diploma. Mr. Ekpenyong represents the Oron Federal Constituency, Akwa Ibom State. The Economic and Financial Crime Commission, EFCC, which arraigned the federal lawmaker on nine count charges, accused him of forging a national diploma certificate of the Abia State Polytechnic, Aba, Abia State. Mr. Ekpenyong pleaded not guilty to the charges. And from the accused box, he watched as his lawyer, Emmanuel Isangedoho, argued for his bail which was opposed by the EFCC. The presiding judge, Ijeoma Ojukwu, said the case would be treated speedily. She granted the lawmaker bail in the sum of N10 million and adjourned the case to April 12. The case is coming amid a controversy over the genuineness of the university certificate of a senator, Dino Melaye.